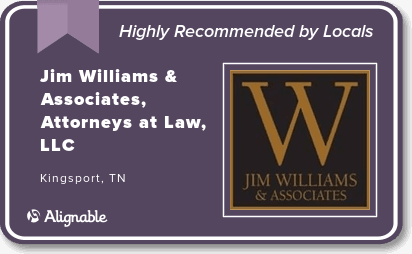 Juvenile law is a major area of the comprehensive legal services offered by Jim Williams & Associates to our clients in Tennessee and Virginia. Juvenile law deals with the actions and well-being of persons who are not yet adults. In juvenile court the judge decides what happens to juveniles accused of breaking the law, those whose parents cannot care for them, or whose behavior makes them at risk or in need of services. 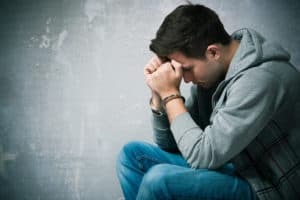 Many courts have their own process for handling juvenile cases, which is why you need an experienced juvenile law attorney who understands the juvenile court system. The juvenile court can punish children who are unruly, commit a crime, or engage in other prohibited action. Children charged with a crime are typically tried in juvenile court; however, depending on the age of the child the case may be transferred to Criminal or Circuit Court for the child to be tried as an adult. This is why it is important to have an attorney experienced in both juvenile law and criminal law who understands the important differences between the courts. A child convicted of a crime may be placed on probation, placed in state custody, or incarcerated for a determinate or indeterminate period. The juvenile court oversees numerous family matters related to children and parents. The court can establish parentage, set and enforce child support, and order a visitation schedule in cases where parties were not married to each other. The court can also place a child with a guardian, custodian or with the Department of Children’s Services in cases of suspected child neglect or abuse. In such cases, an emergency protective order may be obtained by a family member, interested third party, or the Department of Children’s Services to remove the child from the custody of a parent. The court can and will hold parents accountable for abuse and/or neglect of a child. Emotional Abuse: Continual attitude or acts that interfere with the psychological or social development of a child. Neglect is the failure to act on behalf of a child, which consists of child-rearing practices that are essentially inadequate or dangerous. It may not produce visible signs, and usually occurs over a period of time. Neglect may be physical or emotional. Physical Neglect: Failure to meet the basic needs for a child’s physical development, such as supervision, cleanliness, housing, clothing, medical attention, nutrition and support. Emotional Neglect: Failure to provide the support or affection necessary to a child’s psychological and social development. More specifically it is failure on the part of the parent to provide the praise, nurturance, love or security essential to the child’s development of a sound and healthy personality. In summary, juvenile courts generally have authority over children that fall into three categories of children: (1) juveniles accused of criminal conduct, (2) juveniles neglected or abused by their parents, or in need of assistance from the state; and (3) juveniles accused of a certain offenses such as absence from school (truancy), flight from home, disobedience of parental instructions, purchase of alcohol, tobacco, etc. Juvenile courts have the power to terminate parental rights in cases where severe abuse, abandonment or other statutory factors are proven by clear and convincing evidence. A parent who is the subject of abuse or neglect allegations, or a termination of parental rights proceeding, should have an experienced juvenile law attorney represent them at each stage of the proceedings. The juvenile law attorneys at Jim Williams & Associates have helped numerous children and adults to navigate proceedings in Juvenile and Domestic Relations courts in Tennessee and Virginia in matters where the child is charge with an offense, or where a parent is accused or suspected of committing abuse or neglect. Facing a juvenile court proceeding can be an emotional time for all involved. You will have many questions and we will be able to provide the answers. Please CONTACT one of our attorneys at our downtown Kingsport office for a FREE consultation and case evaluation from an experienced juvenile law attorney. The information you obtain at this site is not, nor is it intended to be, legal advice. You should consult an attorney for advice regarding your individual situation. We invite you to contact us and welcome your calls, letters and electronic mail. Contacting us does not create an attorney-client relationship. Please do not send any confidential information to us until such time as an attorney-client relationship has been established. Content Copyright 2019. Information contained herein has been obtained from various sources, including legal textbooks, personal opinion, research on the internet and other locations. Information, content, layout and style are believed to be from public domain sources and not a conflict with intellectual property of others. Site design is from a template and modifications of a template. Attorneys not certified as specialist in any area of law.